Working as a manager or leader in any workplace leaves a lot of room to influence other people. And shouldn’t that include then some specific coaching and discussion to help others improve their role and work results? I certainly think so and I also think that every person in a leadership or supervising role should be expected to learn about coaching in the workplace. If coaching were better understood and used on a regular basis, the results of whole teams and companies could be drastically improved given some time. Coaching in the workplace is something I’ve practiced for a number of years through managing others and it is now one of the most effective ways I have to develop people for higher level roles, better performance and to address weaknesses getting in their way from being as effective as they could be. I originally learned the model I use now for coaching from Manager Tools at one of their effective manager conferences. I can’t stress the value enough of their many free podcasts and training for managers. 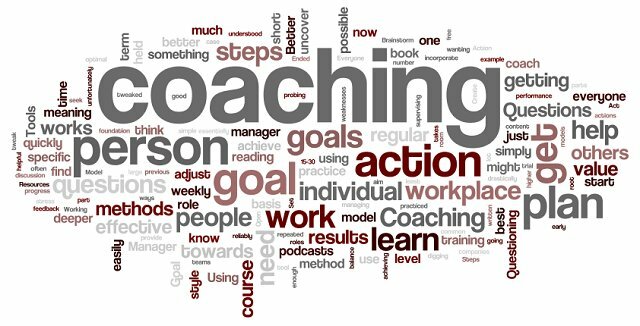 These models and tools create a foundation for coaching that works reliably and you then only need to tweak it to fit your style, your methods for your workplace and to adjust each session of course to the person you are coaching, the most important part of course. These questioning methods can help you engage with the other person more easily and to quickly cut through surface level issues and find goals and ideas that have a deeper meaning and value. These steps can be repeated as necessary using smaller goals towards a large goal or simply by changing the goals on a regular basis to achieve different short term results. The steps themselves should all be written on paper with the person you are coaching and you need to aim to get through them quickly to get the action started as soon as possible. Often people spend too much time wanting to get the perfect goal or the perfectly optimal plan of action, but it takes much longer to plan and seek that then it does to simply start getting practice. The goals can be tweaked as you learn more and its the action of the individual that is going to activate them towards the goal. Yes, of course it is a balance of some planning and then some action, I’m just suggesting you don’t get held up on the early parts. Steps 1-3 should only take 15-30 minutes and then the action can start once you get good at coaching. The coaching then requires you to provide regular feedback (daily if possible, weekly in the worse case) about their progress and actions. Review the work at least weekly and adjust the plan as needed to prevent things from getting stuck or held up. Coaching only works if it is specific to an individual and the same coaching plan will never work for everyone. The brainstorming and even the goal could be the same, but each person will have their own action plan and steps to achieve their goal. This is because you need to let the action plan be something that works specifically for the individual you are coaching. For example, just because I know I can easily learn content from reading a book by some subject matter expert, I know this doesn’t work for everyone and reading a book in a coaching plan might be more discouraging to some individuals than it is helpful. Some people will need to learn by trial and error, some by courses or training, some self taught, some through experimentation, research or by hearing stories and reacting emotionally to some method. Everyone will have their own style and its your job as the coach to tailor the coaching to find the methods that work best for the individual and then incorporate that method for them to practice and learn most effectively. I believe that coaching at work is a great resource. I think today’s greatest challenge is that so many organizations are lean and mean – which means opportunities for advancement are limited but opportunities for getting more responsibilities without rewards (beyond continued employment) are more common. Thanks for the post. One of the challenges that I’ve found is that managers will may give a direct report a task to take on, then they proceed to tell them how to do every aspect of that task – not really coaching, as much as dictating. Really like the notion of giving the responsibility and autonomy. That is a important point to truly letting people grow! Thanks again! Yes you are right. Questioning is really a great tool. This will help us in self improvement. Thanks for the great tips on coaching, when working in a close knit office it can be hard to get everyone on the same track. These coaching tips are much appreciated. You are right.I agree with you.thanks for this blog.Really great information..
your are right about that. We all need a little coaching now and then. I know from personal experience how important it is to tailor coaching methods for specific individuals. Each person learns differently and sometimes it just takes a little extra work for some people. The 5 W questions are a very useful tool for digging deeper into the situation.